Summer is here. It is the season to enjoy the longer days, spending more time outdoors. As we picnic, garden, swat mosquitoes, and consume more fruits and vegetables, it is a good time to review the effects of pesticide exposures and explore safer alternatives. There is no doubt we are exposed pesticides. The U.S. Centers for Disease Control (CDC) Report found that children have the highest body burdens and exposures to two insecticides exceed EPA’s “acceptable” levels. The average person tested contained 13 different pesticides or their metabolites and their exposure was persistent. This means us. A Harvard University study published in the journal Pediatrics, linked dietary pesticide exposure to ADD in kids. The study followed more than 1,000 children and found 94% of them had pesticide residues in their urine. Those with the highest levels were nearly twice as likely to have Attention Deficit Hyperactivity Disorder (ADHD). 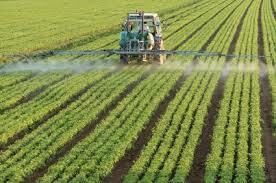 The common and widely used pesticide class analyzed was for organophosphates (OP’s), known to be toxic as it works by disabling a nerve chemical used to transmit signals. In the study, the fruits with the highest concentration of pesticides included strawberries, raspberries and frozen blueberries. First, it examined children with average exposure, not those with increased exposure like kids of farm workers, as in previous studies. Second, it showed that even small and allowable amounts of pesticides can have significant effects on kids’ brains. Children are at increased risk because they are exposed to higher levels of chemicals relative to their body size and their detoxification abilities are less developed. Dr. Susan Kegley, consulting scientist with Pesticide Action Network, explains: “When it comes to pesticides, children are among the most vulnerable – pound for pound, they drink 2.5 times more water, eat 3-4 times more food, and breathe twice as much air as adults. They also face exposure in the womb and via breast milk. Add to this the fact that children are unable to detoxify some chemicals and you begin to understand just how vulnerable early childhood development is. We’ve known for a long time that OP’s poison farm workers at higher doses, and now we have a window into their lower-dose effects on the broader population”. Brain cancer from home pesticide and insecticide use, leukemia from home and garden pesticides, nonlymphocytic leukemia from extermination use, non-Hodgkin’s lymphoma from home pesticides, lung cancer from cigarette smoke, and brain cancer from home flea and tick foggers. In separate data, Parkinson’s disease has been associated with organophosphates and also numbness in extremities. Another pesticide with serious health concerns is the weed killer atrazine. 34 million kilograms of atrazine are used yearly mostly on cotton, corn, sorghum, sugarcane, pineapple, Christmas trees, and on golf course greens. Atrazine is an organic compound in the triazine family of herbicides. It has been shown to inhibit electron transport, which then blocks photosynthesis. The chemical is banned by the European Union, and even Switzerland, where atrazine’s leading manufacturer is headquartered. Increased concern about the safety of atrazine arose after monitoring programs found the chemical in drinking water and several scientific studies demonstrated the pollutant’s ability to emasculate amphibians and fish. More recent studies have shown an association with birth defects in male newborns including hypospadias. The EPA is re-investigating atrazine after recent pressure from activist groups, although the evidence is already compelling. The National Resource Defense Council, NRDC, analyzed surface water and drinking water monitoring data for atrazine and found pervasive contamination of watersheds and drinking water systems across the Midwest and Southern United States. The pesticide Roundup (glyphosate) has been widely used in agribusiness for years. It has been presented by its promoters as “safe as table salt” and healthy for the environment. So when Monsanto first introduced Roundup Ready, genetically modified crops designed to withstand repeated Roundup applications, it was supposed to enhance crop production safely. Now it’s years later and about 90 percent of all soy and canola and about 70 percent of corn and cotton crops grown in the U.S. comes from genetically modified Roundup Ready. It is also largely found in alfalfa crops and related harvest feeds. It often contaminates water sources and air., especially in agricultural regions. It will probably be even more years before we know the health repercussions we might face with the widespread consumption of these GM crops. Years ago, eminent oncologists Dr. Lennart Hardell and Dr. Mikael Eriksson of Sweden, revealed clear links between the herbicide glyphosate to non-Hodgkin’s lymphoma. But we already know the Roundup Ready strategy has backfired. A paper published in 2016 in Environmental Health, stated that glyphosate is now “authoritatively classified as a probable human carcinogen” and voiced concern that regulatory limits of exposure are based on outdated science. A study published in Environmental Health Perspectives finds that children who live in homes where their parents use pesticides are twice as likely to develop brain cancer versus those that live in residences in which no pesticides are used. Herbicide use appeared to cause a particularly elevated risk for a certain type of cancer. It is well established that many pesticides cause cancer in animals. Astrocytoma was associated with herbicide use in this study. The risk of childhood brain cancer was significantly lower for fathers who washed immediately after the pesticide exposure or wore protective clothing versus those who never or only sometimes took precautions. The parents assessed in this study were generally in contact with the pesticides through residential exposure, including lawn and garden care. Another detailed analysis of all the available studies comparing work-related, parental pesticide exposure and childhood leukemia finds that the mother’s exposure during pregnancy increases her child’s risk of the disease. The father’s exposure before pregnancy does not. After scaring ourselves with data, it seems only common that we would want to reduce our toxic load and that of our pets. In areas of heavy infestations, Nexguard, Advantage or Frontline is less toxic than the topical treatments. Consider using less frequently than the recommended interval or only in high season. Avoid sprays, flea shampoos, and flea collars. Clean weeds out of beds before planting. Start weeding early in the growing season when weeds are young. Try a variety of techniques such as hoeing, weed trimmers, flame-weeding, and of course, hand-pulling! Even white vinegar in a spray bottle can kill weeds when young, but careful not to get on wanted plants or those may go, too. Boiling water also works, documented in a research study. Use mulch to reduce weed problems. Remove weeds, then apply a two-to-four-inch layer of mulch made of organic materials such as straw, grass cuttings, wood chips, leaves, or bark. Consider redesigning your landscape so it doesn’t encourage weeds. You can use vigorous plants to out-compete weeds and install barriers to prevent grass from invading. To clear bugs on plants you can use commercially safer products or make your own garden soap using a 1:100 dilution of mild and natural dish soap and water in a spray bottle. These are good for soft-bodied bugs like aphids, spider mites and some scale. May need to re-apply more frequently than commercial brands. Neem oil is good for hard-shelled buggers that chew, like weevils. Garlic, onions – all alliums are great for killing soft body insects. Flying insects can be paralyzed by direct hits. Also works as a great fungicide. Best if crushed or liquefied in a vegetable oil tea. Use several cloves of garlic per gallon of water. Hot peppers – fresh or powder is great for repelling rabbits and other pests. Many soft body insects can be killed by its acidic “burning” effect. Best when mixed with garlic sprays applications. Canola oil, vegetable oils – mineral oils work also, but they are made from petroleum products. Oil sprays suffocate soft body insects. Don’t use too much on sensitive plants. May burn leaves. Don’t use no more than 1 cup of oil per gallon of water. Alcohol – rubbing alcohol is good but it is made from petroleum products. Drinking alcohols are made from plants. Using only a few tablespoons per gallon of water will kill many soft body insects. Too much alcohol in water will produce a super herbicide. Apple Cider Vinegar – Use 1-2 tablespoons per gallon of water for a mild fungicide or acidic liquid fertilizer. Like alcohol can be a natural herbicide if too much is used in tea. Most white vinegars are made from petroleum products. Apple cider vinegar can contain up to 30 trace elements. Corn meal – Use as a top dressing or in a tea for fungal control. Compost teas – This multi-purpose fluid can contain beneficial microbes and soluble nutrients that can be a mild fungicide and disease controller. Ground cloves – great repellant and can kill flying insects. Use several tblsp per gallon of water. Japanese beetles – killing their larva during the winter and early spring seasons with mild topsoil tilling, or using milky spore or beneficial nematode soil applications best controls these pests. During the warm season, the best way to control them is with traps. Placing several small open milk jugs, cans, or buckets all over your garden can make simple inexpensive traps. Inside the cans place some rotten fruit or fruit cocktail in 1/2 can of water with 1-2 tbls of liquid soap and 1-2 tblsp of canola oil. You can also add dry molasses or liquid molasses for extra microbial power in the soapy tea mixture to attract and kill them. Also planting a border planting of buckwheat will attract these pests away from your crops. Diatomeous earth – this natural powdery substance will poke insect bodies and dehydrate many soft body soil organisms, but not earthworms. It can kill bees if direct contact of a spray mixture. This can be used on the soil or sprayed on the plant with soapy water. Unlike most natural pesticides, D.E. can stay in the soil working for decades. Neem oil – like vegetable oil sprays, it suffocates insects. However, neem goes the extra step of destroying soft body insects’ ability to reproduce and makes them starve by removing their appetites. Liquid soaps – Only use natural soaps or Murphy oil soap or mild liquid dishwashing soaps like Ivory. Soap help make teas stick better to plants and pests, and they also paralyze many insects in direct contact. Use no more than 1-2 cups of soap per gallon of water. Do not use much on flowering fruit or vegetable plants. Can hinder fruit production. Citrus acid and molasses – repels and kills fire ants and similar pests. Mix 1-2 cups per gallon of soapy water. Hot boiling water mixed with garlic products, poured over the fire ant mounds will also kill the queens. You can produce citrus acid from crushing whole oranges or lemons into a tea. Tobacco products – this is definitely a classic natural pesticide, but most organic gardeners today stay away from it. It may kill beneficial bugs, too if abused. It can cause diseases on tomatoes if not properly used. Most modern pro-tobacco pesticide tea experts suggest brewing a tobacco tea no more than 30 minutes, to be safe enough to not harm beneficials like bees and ladybugs. You can mix in a liquid soap as a spreader-sticker. NOTE: Do not use tobacco teas on nightshade family crops. Also recent research has proven that the available nicotine produced in a tobacco tea is not the same stuff as nicotine sulfate. It is much safer than nicotine sulfate or rotenene. Just one drop of pure nicotine sulfate on your skin can may you sick. Homemade tobacco teas have great knock down power for tough pests like Japanese beetles. Chewing tobaccos are the most safest, natural forms for these homemade tobacco teas. Bleaches and Peroxide – great fungicides. However, most commercial bleaches are not natural. Use 1-2 tblsp per gallon of water. Dolomitic Limestone, Hydrated Lime, Bone Meal, Eggshells – sprinkle a little lime or crushed eggshells around soil areas where snails and slugs live. Most high calcium carbonate products will work. Also a light dusting of lime on plants acts as a fungal control. Eggshells also have the extra benefit of discouraging snails and slugs because of its rough edges. This is a great way to find organic produce and also those that are not fully certified Organic but do use pesticide-free practices. Going towards the end of the market gives you the best chance for lower prices. Local stores are also carrying more organic selections. Organic products grown in theUSA may have stricter organic standards than those grown out of the country. More and more of the bigger food and warehouse stores (like Sam’s Club, for example) are carrying organic items. If you can buy in bulk (dried beans, rice, canned tomatoes, organic coffee, etc.) this will save you a few dollars too. If you want to buy vegetables in greater quantities because of price, some will freeze nicely if slightly blanched beforehand. Asparagus, green beans, broccoli, carrots, cauliflower, corn on the cob, turnips and squashes can all be frozen. Those that won’t fare as well are salad greens, radishes, green onions, tomatoes and potatoes. Many of the organic brand websites offer a way to print out coupons and offer a way to print out coupons. Organic Valley, Taste the Dream (Rice and Soy Dream products) and R.W. Knudsen products, all offer coupons. If you don’t have access to a printer, some of the websites will simply send you the coupons if you supply your snail mail address. It promises to be a bountiful harvest this year, let’s remember to enjoy it. Check here for recipes to make several natural bug sprays.